Here is 6 simple ways to practice your speaking in English. Never study a single or individual word. Never. When you find a new word, always write down The Phrase it is in. Always. Learn Phrases Only.Phrases are GROUPS of words that naturally go together. So Rule 2 is: Don't Study Grammar and Be Brave! You must listen to UNDERSTANDABLE English. You must listen to English EVERYDAY. Don't read textbooks. Listen to English. The secret to speaking easily is to learn every word & phrase DEEPLY. Its not enough to know a definition. Its not enough to remember for a test. How do you learn deeply? Easy-- just repeat all lessons or listening many times. For example, if you have an audio book, listen to the first chapter 30 times before you go to the second chapter. You could listen to the first chapter 3 times each day, for 10 days. You must learn grammar by listening to real English. The best way is to listen to the same story... told in different times (points of view): Past, Perfect, Present, Future. don't need to know the grammar rules. Just listen to the Point of View stories and you will improve grammar automatically! How do you learn Real English? It's easy. Stop using textbooks. Instead, listen only to real English movies, TV shows, audio books, audio articles, stories, and talk radio shows. Use real English materials. 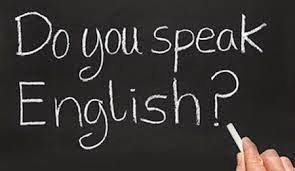 Belum ada tanggapan untuk "Learn How to Speak English Fluently"